I’m delighted to have as our panelists and our discussants two very experienced people, both of whom have been ambassador to Yemen. And we’re sorry that Mary Beth Long, for family reasons, was not able to join us today. But I know with the experience in the room, we’ll be able to bring in perspectives that she might have represented, in particular from the Department of Defense and security perspectives. I know both Gerry and Stephen have considerable experience themselves in looking at the issues in Yemen, and in the larger region, from a total pol/mil perspective. We’re going to talk for about 40 minutes, and then the members will participate directly. So think of your own questions as we go along. We are on the record today. And on behalf of the Council, I want to thank Richard Plepler and HBO, who have been generously supporting this series. So in—we could all the way to pretending we’re an NSC council meeting, but since there’s only the three of us we don’t think that would be quite realistic enough. So we’re going to just talk, but try to talk through all the issues that a White House, worried about an acute spike in a particular country in crisis, might want to address. So do imagine that we’ve convened because things have gotten worse in Yemen, and we’re trying to think through whether it’s a moment to rethink, reassess American policy, and look at alternative approaches. So what I’d like to do is start with the dramatic news of the death of Ali Abdullah Saleh, and ask both of you to just give us a snapshot of how do you think his death changes the situation on the ground in Yemen. So we’re still within the borders of Yemen. How significant is his demise, and how do you think it’s likely to change the course of the war in the short to medium term? Gerry, would you like to go first? FEIERSTEIN: Sure, I’m happy to. And basically, my own view, just in one sentence, is that as dramatic as it is in terms of Yemen’s history and the role that Ali Abdullah Saleh played, and his image, I don’t think that the actual event of his death changes a lot. 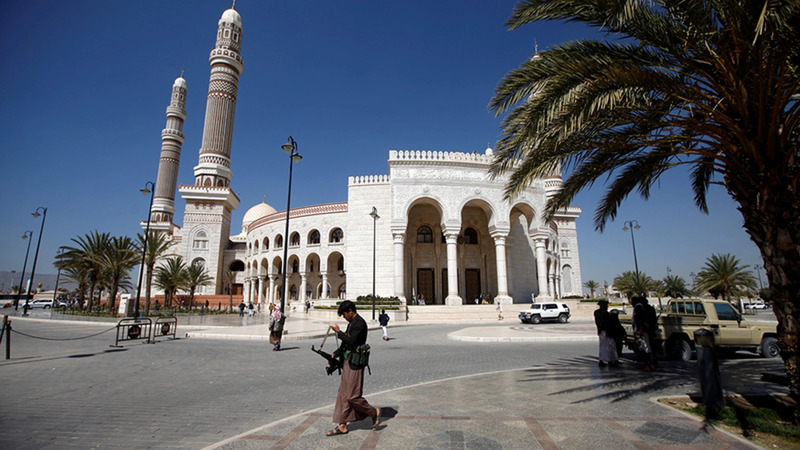 On the—on the military side, the situation in Yemen has been stalemated for quite a long time. That—you know, that over the course of the 30 months of the conflict, the influence of the pro-Saleh forces has steadily declined. The Houthis have absorbed a lot of the military that originally was loyal to Saleh. They’ve replaced the officers with their own followers. They’ve done a lot of other things. And so Saleh was marginalized on the military side. On the political side, I know that there was a great deal of hope in many quarters that Saleh would eventually be a guy who could broker some kind of a deal. And I have to admit that I was always skeptical about that. And what I understand from people who participated in the three rounds of U.N.-sponsored discussions, is that there was really never ever any evidence that Saleh or Saleh’s people had any influence on the Houthi negotiating positions. That they were more or less on the side, and that the Houthis were really in the seat as far as representing their own views. So I don’t think that that’s going to have a lot of effect. What I would say is that it will have impact in two specific areas. One is that, to a certain extent in 2014, when the Houthis came into Sana’a, they came in arguing that they were a reform movement, that they were broad-based, they represented good governance, draining the swamp, if you will. That they were going to be anticorruption. And that Saleh and the GPC, to a certain extent, gave them credibility on that—on that score. And the loss of the GPC and the loss of Ali Abdullah Saleh has taken that away from them. So that they are now perceived in a much more narrow focus, as a sectarian Shia pro-Iran movement with millenarian aspirations to restore the imamate, and not terribly popular with the vast majority of Yemenis. So I think that they come out of it politically having lost because Saleh’s no longer there. The other aspect I think is important, is that the GPC itself, Saleh’s party, was the party of government in Yemen for 30-some years. And the fact that the GPC now is in somewhat of a chaos or disarray—which is being added to by the fact that there seem to be credible reports that the Houthis have aggressively tried to identify and eliminate senior GPC leadership, at least in Sana’a, but I think even more broadly around the country. The loss of that technocratic, experienced base is going to make the recovery in Yemen much more difficult once the fighting stops, as inevitably it will. Steve Seche, would you like to try to address the same set of issues? SECHE: Well, I will. And I’m going to echo a lot of what Gerry just said, I’m afraid. But I do think that this is a significant moment for Yemen. I don’t think Ali Abdullah Saleh was ever going to be part of the solution in Yemen. He was going to be part of the problem forever, so you removed at least part of that problem by dispatching—and I never say badly or ill about anyone who has just left this earth, but at least we don’t have Ali Abdullah Saleh to worry about in that regard right now. I do think the Houthis will be exposed more for what they are. That veneer of legitimacy that Saleh allowed them to entertain has been removed, and they’ll be seen as heavy handed and repressive in ways that it was not always the case, at least when Saleh was around to provide that little bit of cushion for them. I think maybe militarily they will suffer a little bit. What’s left of the Saleh army on the front lines will now clearly be cleaved from the Houthis, and that may give them some pause in certain areas. We’ve already seen, for example, that, I think, coming up the coast the UAE forces have moved very quickly to take over one of the ports between Mokha and Hodeidah, so there’s an advantage being taken of this moment, so I think that speaks to the significance of removing Ali Abdullah Saleh from the equation right now. And so I think there are a lot of reasons to see this as an opportunity, and I hope that the parties will do the—do exactly that and say, now this—you know, is there something we can do. This terrible status quo that has prevailed has just been disturbed in significant ways, so what can we do to take advantage and try to find, think of solutions that perhaps were not on our minds as realistically possible in the days just before December 4. FEIERSTEIN: Well, I certainly think that—that this is—that this is a Yemen civil war. The problems were internal to Yemen. The solutions eventually will be internal to Yemen. There will be a Yemeni-Yemeni resolution of this conflict. I think it’s important to keep in mind that the Saudis, like us, watched the situation inside of Yemen deteriorate for many months—for really about six months—before they made the decision that their own national security interests were sufficiently engaged that they felt the need to intervene, and they intervened at absolutely the last possible moment. In fact, you could argue that their intervention came too late. So I don’t—I don’t think that this is—it’s not a proxy war, it’s not a Saudi-Yemeni war. It is a Yemeni civil war where each of the parties have seen fit to appeal to external friends, to partners. Obviously, the government, looking to Saudi Arabia; the Houthis, who had a relationship with Iran, and the Iranians were more engaged in support of the Houthis really going back at least to 2012. I know that we identified Iranian support to the Houthis at least at that point, if not even before that. So they are engaged in supporting their various friends, but again, I would say that ultimately it’s going to be a Yemeni solution. SECHE: Sure, and I think what we’ve seen, even the UAE came into Yemen as a full member of the coalition, they have diverged a bit in terms of their focus, as they moved onshore in Aden in 2015, and then to some extent they were able to pacify Aden. They got rid of the Houthis that were down in that area. They’ve also been working very assiduously on anti-terrorism campaigns now against both Daesh and AQAP with some effectiveness in working with some of our special operators, who are also in Yemen. So I think this is where they see themselves now. And Saudi Arabia, I think, fundamentally does not have a huge disagreement with what the Emiratis are doing. I think there is some—a sense here that perhaps this divergence is starting to erode the fiber of the alliance. I’m not sure I’m convinced that’s the case. I think that the Saudis don’t have any big stake except for somehow getting this over with, and if the Emiratis can manage in the south to put this little bit of a lid over things and make it manageable, try to reconstruct institutions and governance, and at the same time, eliminate some of the threat posed by AQAP and some of the extremists, I think that’s probably for the better. So I think the Saudis will tolerate this to the extent they have to. The Emiratis are seeing themselves, I think, in some perspective as, kind of, this is an opportunity for a very ambitious nation to demonstrate what Arab nation building would look like, and I think the Emiratis are very much fixed on what they can demonstrate to the world about how to go in in a conflict situation, Arab to Arab, and figure out a way to get this job done. And so they are doing that now. They’re aligning themselves very strenuously with separatist elements, with the Southern Transitional Council and Mr. Zubaidi, so there is a sense that they are not at all uncomfortable seeing a different outcome, perhaps, in what Yemen looks like at the end of the conflict. That will be troublesome at some point, I believe, but right now I don’t think they’ve gotten far enough—or the Saudis feel they’ve gotten far enough—to make that a big issue in the relationship. LAIPSON: So if we could spend a minute or two on the economic realities of Yemen. We are hearing, obviously, some quite catastrophic statistics about the economic deprivations of a country that was always poor but now seems to be reaching the brink of famine and even starvation for people, particularly in the remoter parts of the country. We’ve heard about the Emiratis’ state building, we know that the Saudis have controlled the western ports and have eased up on their blockade a bit. Is there any part of the Yemen economy that is functioning, and do you have any thoughts on whether the international perspective on the humanitarian needs of Yemen—are they correct? Do they lend themselves to some, you know, understanding of the cost of the war? So could you—I know that we’ve spoken a little bit about the reality of a war economy. In a country this poor, I wonder what a war economy looks like. Whose resources are getting in, and who is somehow benefitting from the war? But in particular, if you would also give your own thoughts on the scale of the humanitarian crisis. FEIERSTEIN: Want me to go? FEIERSTEIN: Well, I think all interesting questions, and I—you know, certainly in terms of addressing the humanitarian issues—and I know that the West, in particular, has been extremely focused on this issue for some time. Clearly there is a need. Dr. Rabiah, who runs the King Salman Center, was here in Washington a few months ago and pledged at that point that Saudi Arabia would commit to ensuring that any humanitarian shipment would be cleared for entry into Yemen within 48 hours of the application. That, of course, was subsumed by the—by the missile strike against Riyadh and the subsequent Saudi tightening of their blockade. That’s being reduced, again, it’s being relaxed, but we need to get back to the commitment that Dr. Rabiah made at that point—that they were going to expedite and improve the delivery of humanitarian goods as—you know, including an offer at the time that they were going to allow goods to come in through the port of Jizan, which is just on the other side of the Saudi-Yemeni border, and come over land into Yemen. And so those are—those are things. There is a U.N. proposal that would allow for Hodeidah to be run by a third party. That would include the repair of some of the damaged infrastructure at Hodeidah. That would ensure a more equitable distribution of goods. That has been accepted by the coalition, it’s been rejected by the Houthis, who are making, by some accounts, millions or even tens of millions of dollars by their—through their control of the Hodeidah port. So that’s an issue. In terms of—but the other point that I made to your earlier, Ellen, is that the problem with famine is not simply a lack of supply. If you talk to people in Sana’a, the issue is often that there is supply of basic foodstuffs in the shops. The problem is that people don’t have the money to buy it. FEIERSTEIN: And that reflects a failure of the collapse of the central bank, which had worked reasonably well through the opening months of the war, but then because of political fighting stopped operating. And that has meant that the 25 percent of the Yemeni population that is dependent on some form of government payment, as well as the ability to pump cash into the economy to keep the economy functioning, has deteriorated. And so the other aspect of addressing this problem is addressing the problem of the central bank and get that to function and get money flowing into the economy again. And then the last point that I’ll make is in terms of the war economy, as you mentioned—and one of the problems, one of the political obstacles to resolving the conflict is the fact that you have significant individuals and groups on both sides of the conflict who are making a lot of money by keeping the war going. And until you address that part, it’s going to be very difficult to convince them. So the Houthis don’t want Hodeidah to open because it’s extremely profitable for them. The tribes are making a lot of money on smuggling. And people who’ve been in Hadhramaut and in Mukalla recently had said that the amount of goods coming across the border or through the Port of Mukalla is huge, and the tribes are distributing it and they are making a lot of money out of this as well. And so Yemenis, who are always entrepreneurial, are doing very well figuring out how to make this conflict work for them. LAIPSON: Steve, do you want to add anything to that? SECHE: Well, just a moment, because I do think the profiteering is an enormous issue right now. And I apologize in advance for using this phrase again—and you’ve all probably heard it till you’re blue in the face—but there is this equilibrium of misery that’s been established in Yemen now, and it’s where you have this stasis on the battlefield where both sides and the parties of the conflict are neither winning nor losing; they’re just—they’re stuck. And you have this war economy in which both sides are profiting from, and you have a level of human misery which is so bad, yet it’s not so bad where we’re going to get international community to come rushing in to save Yemen. So things sit at this terrible, awful status quo. And that’s what I think we have to try to suspend in some sense, and that’s where I think the economy needs the attention. And the central bank of Yemen, which has been a huge problem for getting salaries into the hands of public servants who are not being paid, and therefore they can’t support families, and prices keep going up and they’re out of reach because the fact that the Saudi blockade has really impeded the flow of commercial goods. They’ve opened it up for humanitarian goods, but that’s only a small portion of what Yemen—and Yemen imports 90 percent of its foodstuffs anyway, so the humanitarian assistance is less than 5 percent of what Yemen imports on a monthly basis. So there’s a whole lot that’s not getting in until the commercial flow is once again reestablished. LAIPSON: So just to point out what I should have said at the beginning. You can find both of these gentleman’s writings on Yemen in their respective institutions. Steve Seche writes at the Arab Gulf States Institute in Washington and Gerry is the director of Gulf Affairs at the Middle East Institute. Both are writing a fair amount on these issues, so I encourage you to continue to follow their great wisdom and expertise. So I’d like to widen the aperture a little bit now and let’s imagine that we are in fact playing some kind of advisory role in the White House. So how do we fit Yemen into the context of all the other stuff that’s going on in the Middle East right now that is pushing and pulling at our relations with various Arab states? So we have the Jerusalem controversy, we have the intra-GCC tensions and dispute, we have a failed GCC summit this past week, et cetera. Is it a moment to think the relative and absolute importance of Yemen to U.S. security interests? How do you rank and identity the sort of hierarchy of American interests that are at stake here? So I encourage you to sort of build us a bigger box in which we should think about Yemen. FEIERSTEIN: Well, I would say the two key issues, I think, from a U.S. perspective about what’s going on in Yemen, two things: One, of course the fight against violent extremism and the ability of al-Qaida in the Arabian Peninsula to reestablish, reassert a role for its health that we had succeeded in pushing back in 2012, 2013. We certainly hadn’t eliminated al-Qaida, but we had, you know, gotten them out of the box a little bit. So they’ve been able to reassert themselves, and that’s a problem. That’s certainly a problem for the United States because if you look at the large-scale threats to U.S. security from terrorist organizations over the past number of years, they have come out of AQAP. That’s one. And then the other—and I think from this administration’s perspective, the—obviously the key issue is the extent to which Iran has been able to benefit from this internal Yemeni conflict and do two things: one, to threaten Saudi security and stability, certainly to provoke a Saudi response; and secondly, to establish a foothold for itself in the Arabian Peninsula. And from the perspective of an administration that’s committed to pushing back on Iranian expansionism to challenge Iran on its interference in the internal affairs of its neighbors, this is a critical issue. There has been some discussion in this administration, I think, that perhaps Yemen is in fact the place where the administration can prove its strategy to roll back Iranian advances. But, again, it’s hard to see how you go from a rhetorical position to a real set of tangible policy decisions in order to accomplish that. And then the third thing that I would say is that clearly Saudi Arabia plays a central role more broadly in terms of this administration’s Middle East strategy. They see a key role for Saudi Arabia in support of whatever peace initiative the administration intends to roll out. Iran is an area where we are depending a lot on Saudi Arabia. And even in things like rebuilding Iraq, Saudi Arabia’s going to play, in the administration’s minds, a strong role. If you look at where the Saudis were most unhappy with the Obama administration, it was through what they perceived as a failure of Obama to sufficiently support them in their challenge to Iran. This administration understands that and is committed to righting that and to being a strong advocate and supporter of Saudi in its competition with Iran. LAIPSON: But I thought we’ve recently seen the administration acknowledge that some of Saudi’s activities in Yemen have been counterproductive, the Saudis are quite upset with us, I think, in terms of the Jerusalem announcement, et cetera. FEIERSTEIN: No, and I think if you go from the very broad rhetorical support that Saudi Arabia and the United States are absolutely shoulder to shoulder in advancing shared goals and objectives in the region—which is, you know, kind of the rhetorical—and if you look at the president’s trip to Riyadh in May of this year and some of the other statements that have come out, that’s very clearly what the rhetoric is. But when you translate that down to various policy decisions—so we do have concerns about the way the Saudis have implemented their Yemen strategy. FEIERSTEIN: We were certainly concerned about the blanket embargo that the Saudis put on goods coming into Yemen after the missile strike. We have taken issue with their position on Qatar. We issued a rather strong statement disagreeing with their position on Lebanon and the whole issue of Saad Hariri, and in return the Saudis have expressed concern—opposition, really—to the Trump position on Jerusalem. So there is daylight between the U.S. and Saudi Arabia on some of the specific policy choices that both sides have made over these past months. And whether that translates into a broader distancing of the U.S. and Saudi Arabia or is just, you know, kind of particulars that don’t affect this broader strategy of bringing the two sides closer together, I think, is something that we’re going to be seeing play out over the next months. LAIPSON: So, Steve, again, the big question is, how do we look at other American interests? What’s at stake here? How do we fit Yemen into the larger picture of American strategy or failure to articulate a strategy overall towards the region right now? SECHE: Well, I think there are absolutely vital American interests at play in Yemen, and I think Gerry’s identified them. You do have the counterterrorism piece. You have Iran. You have the free transit of oil and energy supplies through the Bab el-Mandeb. So these are things that we care about, and Yemen is the arena in which all these issues are in play. Yemen’s biggest disadvantage is the fact that it’s so isolated physically. You don’t have that flood of humanity washing abroad offshore in Europe. It’s been largely contained, and for that reason you don’t have this alarm sounding around the world about Yemen. And that’s why it falls off the front page of our newspapers into page four and five and elsewhere. So, until that changes—and it probably is not going to geographically—we’re going to have to figure out a way to keep this on the front burner for people. So, meanwhile, I don’t see that in Yemen, despite the fact that we have—and Gerry’s correct; we do have policy divergences with Saudi Arabia elsewhere in the region, but I do think we’re able, as is Saudi Arabia, to isolate Yemen as an area of cooperation. We still see the Saudis, the coalition, the Emiratis, doing in many respects our work for us. We have managed to outsource the fight against AQAP, the Iran business, to those countries in Yemen as a theater and arena where that fight can be carried out. And I think in many ways this policy of our president doesn’t differ much from his predecessor, because the Obama doctrine, to the extent there was one, basically it said to our allies you police your own neighborhoods, you form your own coalitions, you manage your own crises, and we’ll support you. We’ll give you the weapons, the training, and things you need. But we’re not going to be there with boots on the ground. It’s still the same thing pretty much now. LAIPSON: OK. So now it’s time—and I don’t—I want everybody to remember that we have a little bit of extra time today, so we’re going to let the members participate in just maybe 10 minutes. We’ll turn to you for your own comments and questions. So now let’s look a little bit more specifically at your policy recommendations. Are there things that you think we should be doing differently? We can say this in a fairly apolitical, nonpartisan way. Are there things you wish we were doing more of, less of? Do you think there are some—is there—can the United States be more actively involved in peacemaking? Is there a political solution on the horizon that the U.S. should somehow be an active player in? So we’re back at the White House now looking for policy ideas to improve overall conditions in Yemen and to stake out more specifically a role for the United States. FEIERSTEIN: Well, I would say—and it goes back to the point that Steve made, and that is that in terms of what we perceive as the elements of a resolution of the Yemen conflict, there really isn’t that much difference between where the Trump administration is and where the Obama administration was before. I think that’s still the emphasis is on a political solution. I don’t think that here in Washington or in the region people yet believe that there is a potential for a military outcome to this solution—to this conflict; and so still looking for a political way out. Ambassador Tueller is still on the ground and very much engaged in supporting the efforts of the U.N.-led peace initiative. And we, I think, should continue to push on that. One thing that’s absent from the approach that the Obama administration had versus the Trump administration is that John Kerry was personally engaged certainly towards the latter part of 2016 in trying to help drive some of the decision-making that would advance the U.N. process. We have not seen that same level of high senior leadership from the Trump administration that we saw in Obama. And I think that that’s—that that’s lacking, that it does demonstrate a lack of real commitment on the part of the Trump people. So I would recommend that Secretary Tillerson or that others be more directly engaged in trying to push on the political process. The other part of that—and it’s very difficult for this administration, given its larger policy preferences—is that I don’t think that we have tested enough the willingness or the possibility that Iran might be willing to play a larger role in pushing political resolution. I think that there are good reasons why the Iranians might want to be helpful on resolving the Yemen conflict. It would be, without a doubt, the most direct way for them to reduce tensions with Saudi Arabia. And they have said as recently as this week that tension reduction with Saudi Arabia is something that they would like to pursue. There is very little direct Saudi—or Iranian interest in Yemen. They haven’t been there historically. This is not part of their larger interest base. But it is obviously of direct and continuous interest for Saudi Arabia. It is a vital national-security interest for Saudi Arabia in a way that it never will be for Iran. So I think that, to the extent—and again, Secretary Kerry tested this with Zarif last year—but I think that the opportunity or the possibility, either directly or through third parties like the Omanis, to go back and see whether there is any stomach in Iran for being helpful on the political negotiation will be something that would be worthwhile. Steve, you were the one who said that maybe Saleh’s death can be turned into a moment of opportunity. Do you also—do you see an opening for more diplomacy, whether it’s led by the U.N. or led by the U.S.? SECHE: Well, I do. I don’t know that the U.S. at the moment—and our attention is focused on that kind of peace-process diplomacy idea. And I agree, we haven’t engaged. We don’t even have an ambassador in Riyadh. And I think, you know, God bless Chris Henzel, who’s a wonderful man and a great diplomat, but the Saudis are very hierarchical, and they want to see someone who they know has our president’s ear when they sit down to have conversations at the end of the day with someone. So I think that’s a piece that’s missing that could be applied effectively in terms of a pressure point if we had someone who was in Riyadh serving as the president’s personal envoy. So that would demonstrate a little greater political diplomatic engagement. In terms of Iran, I would love to think that Iran could be useful. I worry that it’s not, you know, Javad Zarif or the political leadership that’s running Yemen for the Iranians. It’s the IRGC. And I’m not sure they’re interested terribly in losing the advantage. A Yemeni said to us one time, he said, you know, the Houthis are a card that fell into the Iranian lap, and they’re very happy to play it for as long as they can. They’ll also trade it away if they got something really useful out of the deal. And I think they’re prepared to negotiate, but I’m not sure what it is that we can give them, because the Saudis are dead set against giving any ground to the Iranians as are we. So it makes it complicated to try to draw them into anything when A, it’s not the political leadership, and B, we’re not giving them a real carrot yet. We’re just hitting them with sticks. So we need to rethink, I suggest, a way to draw the Iranians in here in some more effective fashion. But I do think American influence is still very, very important to exercise. And I think the absence of that is a real detriment and a real impediment to mobilizing the level of concern and kind of interest that we need to get countries—Russia, for example, could be very helpful and has had a constant presence in Yemen since the conflict began. They’ve never closed their embassy. So they’re still there on the ground. And so they have influence to bring to bear. We need to figure out a way to bring Russia into this too. LAIPSON: Thank you. No, that’s very helpful. And I wonder if one of you could just update all of us on what is the status of the American embassy in Yemen. It is playing remotely. Could one of you just explain to the—and do we have a current ambassador to Yemen? FEIERSTEIN: Matt Tueller is our ambassador; has been since early 2014. He is physically located in Jeddah, with a small—what we call the Yemen YAU. It’s the Yemen Affairs Unit. And he’s extremely active in meeting with the Yemeni government. He has been able to make at least one trip to Aden to meet with Yemeni government officials there and, of course, to meet with the Yemenis in Riyadh, and has participated in all of the various peace initiatives. LAIPSON: I think we can open it up to the members for your own comments and questions. I want to remind you, we’re on the record. Wait for the microphone. Please give us your name and affiliation. And I welcome comments. There’s a lot of other Yemen expertise in the room. But let’s keep it concise so that as many people as possible get a chance to ask a question. Q: Thanks, Ellen. Barbara Slavin from the Atlantic Council. Thank you very much for bringing us up to date. A couple of questions: How important really is Iran to this war? If the Iranians were to drop the Houthis tomorrow, would it make any difference, or would the war continue? And then, who are the leaders on each side? On the Houthi side, we’ve hear a lot about how the nominal Yemeni president is not really up to the job, even reports that he was under house arrest in Saudi Arabia. Who are the leaders who would make a deal if there was a deal to be made? Thank you. FEIERSTEIN: In terms of the Iranian influence, what I would say is the Houthis are not a wholly-owned subsidiary of the government of Iran or the IRGC. They are pursuing what is largely a domestic political objective for themselves. But I would say that Iran has played a significant role in terms of enhancing Houthi capabilities. And again, we’ve seen not only Iranian materiel support—arms and finance over these past years—but we’ve also seen IRGC trainers, advisors in place in Yemen, giving the Houthis assistance. I would say that kind of what we’ve seen over these past few weeks in terms of the ability of the Houthis to fire these extended range Scuds is almost certainly the result of assistance that they’ve received either from the Iranians directly or via Hezbollah, which is certainly operating at Iranian direction. And so while I don’t think that the war would stop if the Iranians walked away, I also think that Houthi capabilities would diminish if it were not for the support that they’ve received from Iran and from Hezbollah. LAIPSON: Steve, do you agree? SECHE: I do. I think that’s right. I think that the war will continue, certainly. I think the opportunity for the Houthis to threaten Saudi Arabia’s city Jizan and other cities in the north, Najran, will be diminished enormously. I do think the U.N. will probably release this week the report of the weapons inspectors that went to Yemen to look into—or, Saudi Arabia, to look into the remnants of the missiles the Houthis had fired, which they seem to think bear similar markings, having come from—originated from Iran. They don’t claim to know who might have been the broker who put them in Yemen. So that’s a question the U.N. will have to wrestle with. But in terms of who would actually make the deal at some point, Barbara, I think the Houthi leadership is fairly established. The interesting thing now is—and this goes back to the GCP, the General People’s Congress, Saleh’s party, without an ostensible leader right now, because Hadi is not ever going to be that man. And now the talk turns to Al Mohsen al-Ahmar, who is one of the original Sanhan tribal members, who is a contemporary of Ali Abdullah Saleh. Came into power with him, was a very powerful military leader, the first armored division that fought the wars against the Houthis for 2004 to 2010, and now is the vice president for Hadi, living in Riyadh, but apparently met with U.S. defense officials immediately after Saleh’s death and is now being talked about as someone who is at least trying to portray himself as an individual who can come in and fill some of that vacuum that’s been created by Saleh’s passing. Q: And then Hadi is? SECHE: I think Hadi has basically been written out of the script. FEIERSTEIN: Well, I’m not sure. I would have to say I don’t—I don’t really see a role for Ali Mohsen either, although he has—he certainly has his support in Riyadh. But I think that there are three people who, generally speaking, don’t have a role in the future. One of them is now dead, Saleh. But Ali Mohsen and Hadi probably not. But there’s also this question of the legitimacy. And there’s Security Council Resolution 2216, which does say that the—that the political path forward is the restoration of the legitimate government of Yemen, which until this point is Abdrabbuh Mansur Hadi. Now, how you go about negotiating this transition is the challenge that Ismail Ould Cheikh Ahmed, the U.N. special envoy, has been grappling with. I think that most people recognize that how this thing ends, whether Hadi ever goes back to Yemen or there’s some kind of a transition before that, that is the key issue that’s on the table for negotiation. But I don’t think that any of these old guys—I think that the new leadership that you’re going to see is going to come out of the political process, and is going to be, hopefully, somebody fresher, without the baggage that an Ali Mohsen has. LAIPSON: All right. Next question. Right here. Q: Eric Pelofsky, former NSC. I wanted to ask about the deal that was at least reported in the press with Saleh—between Saleh and the Saudis. Do you think there was a deal? Why was it—why did it—if so, why did it occur when it occurred? And would it have netted more if it had occurred earlier? And why didn’t it? LAIPSON: Steve, you want to go first this time? SECHE: Well, I just think that there was a communication that had been established between Saleh and the Saudis. I think that—again, the Saudis were willing to look at any opportunity that they thought would weaken the Houthis. If the Saudis, though, thought that Saleh was going to deliver on something he’d promised, they probably had forgotten the history they had with the individual, because he was never able to basically—I mean, he was an opportunist, right? And this was his last opportunity to save himself. And the Saudis could read that as well as anyone in this room could read that. So I hope that the Saudis were being cautious about what they expected him to deliver in terms of actual payoff at the end of this negotiation. Now, what was he going to bring to them? He was going to say, yeah, sure, we’re going to turn our guns back on the Houthis. But at the same time, he hadn’t been able to deliver the tribes effectively, and the Houthis still had a lot of tribal loyalty they were parlaying very effectively. And Saudi’s forces, as Gerry said earlier, have been weakened. So he had—was in a position that made him less of a useful foil for the Saudis to make a deal with than at any point earlier. So perhaps if he had stepped forward earlier, when he had been a bit more of a potent force, they would have looked more favorably on the opportunity that deal might have given them. LAIPSON: Do you want to comment on this? FEIERSTEIN: Yeah, I would just—I agree with Steve completely. I mean, you know, the fact of the matter is that, in my view, this was the quintessential Ali Abdullah Saleh. This was the way he had managed affairs for 30 years. There was no agreement that Ali Abdullah Saleh ever made that he kept. And he saw the walls closing in on him. He realized that his ability to maneuver was disappearing quickly. And he threw a Hail Mary pass. And the Saudis were, you know, willing to pick it up if there was something he could bring to them. But I don’t think—I think that this idea that somehow or other this was a strategy that had been worked out over a period of weeks or months, I don’t believe it. And certainly, my own experience talking to the Saudis was that they didn’t trust Saleh. They knew Saleh very well. And I doubt—as Steve said—I doubt that they were putting a great deal of hope in what he might bring. SECHE: Not to my knowledge. LAIPSON: He announced it, yeah. LAIPSON: OK, I’m going to Missy Ryan, and then John Ducampany (sp) in the back. Q: Right. Missy Ryan from The Washington Post. Thanks for being here today. I’d like to ask you to comment, if possible, on the CT program in Yemen. There’s been a significant uptick this year in the number of reported drone strikes, CT strikes that are taking place in different parts of Yemen. And they may be occurring under a revised review system, in the Trump administration. What can we say about the effectiveness of this program at this moment? And is it occurring the way it should be? FEIERSTEIN: Well, I think—and we have some experienced operators here as well. But, you know, what I would say is that, one, I always supported the drone program. And I think that the drone program is an effective instrument for the U.S. to try to address this problem. I think that in my experience of both Pakistan and in Yemen, we were able to achieve important results as a result of it. In the Obama administration, I would say that the guarantees or the framework that Obama applied of, you know, near-certainty of no collateral damage, of no civilian casualties, was important. And when we were—when we were doing it, we always made sure that we knew exactly what was—you know, who was on the ground, what we were targeting. We were extremely careful. We never went on the basis of, you know, intelligence from other sources without verifying it for ourselves. We were always very cautious ourselves. And as a result, although we did make mistakes, no doubt—you know, there were civilian casualties during that period that we were there—nevertheless, we did reduce it to a minimum. I understand why the administration would want to resume the drone program. I think that there is reason for concern about the ability of al-Qaida to resurrect itself, to reestablish its presence in places. And therefore, you know, there is a reason for us to do it. But a couple of things are concerning for me. One is, I’m not sure that we’re applying that same standard of near certainty of no collateral damage. And I think that that is important, not only in terms of avoiding civilian casualties, but also in terms of ensuring that we continue to have support of the civilian population. The thing that I’ve found over the years is that the people in the area know better than anybody else who are the good guys and who are the bad guys. And you are—if you are hitting the bad guys, they’re OK with that. Often the bad guys are bad to them as well as to everybody else. But if you start killing innocent civilians, then they—then they react to that, and you lose popular support. The other—the other reality, I think, that we need to be careful about is that al-Qaida has made progress, in part, by ingratiating itself primarily with Sunni tribes in these areas, who may or may not be interested at all in AQ’s ideology. They may not be interested in global jihad. They may not be interested in, you know, establishing the caliphate. What they’re looking for is somebody who is going to provide them with weapons and money and support. And we don’t want to lose those people, because eventually they may be the people that we need in order to continue to prosecute the fight against AQ. So I’m not sure that we have the kind of strong intelligence capability on the ground today that we had in 2014 or before that. And therefore, I think that we need to be extremely cautious about how we go forward with this. SECHE: Just quickly there’s three points I’d make about the drones that give me concern. One of which is, as Gerry said, the collateral damage. I think we pulled the trigger a little bit too quickly sometimes. Secondly, I think that our targeting is a little bit more broad. It used to be we had to establish pretty stringent rules for who would be targeted. I think now we’ve dropped a lot of that down to mid-ranks and others. So it’s a question of can we see somebody moving at a car, and we’re not really questioning a lot of the value of that individual for the organization. It’s a target and we’ll go after it. And the third thing, of course, is the intelligence on the ground. And without a lot of good triangulation on the ground, we’re depending on others—you know, and the UAE is down there. So the UAE could be helpful to us, because they have a lot of good alliances with fighters in the region. Now, I don’t know what the agendas of these individuals are, though. So you’re getting a lot of information fed to you. We’ve got to make sure we can filter it properly to get maximum value out of it. LAIPSON: All right. John Ducampany’s (sp) next. Q: Yes. Would either or both of you place in context America’s interest in the Hadhramaut faction? Maybe people here perhaps are not aware of the Hadhramaut, but it has its own agenda. And would love, if it possibly could, have a secessionist or independence movement. How do you see the implications of something like that for American interests, concerns, needs, and policies? LAIPSON: And let me just recast that a little more broadly. Since we have lived through Yemen being two countries and then unified. And obviously there are still some separatist impulses. So thank you. It’s the Hadhramaut, but it’s also the north-south division. Steve, do you want to go first? SECHE: Yeah. And I do think, John, that there is an issue here. And this speaks as—or, I speak to be the case that there’s a larger issue of a federalist Yemen here, because I think that Hadhramaut will certainly be an area that’ll be seen as part of—you know, in terms of it’s a six kind of region federal system or it’s smaller, or it ends up being just, you know, binary, and you have a north and a south. Hadhramaut is going to be somehow carved out of this. I think Saudi Arabia, of course, has always had wonderful designs on Hadhramaut too, as becoming part of Saudi Arabia, and giving it access down—you know, down to the Gulf of Aden. So there’s a lot of reasons why Hadhramaut plays into the imagination of a lot of the parties in that region. And in security also, because it’s critically important because of the tribes and their ability to use themselves and their resources as defense forces. So whether this impacts the U.S. view, you know, immediately or not, I do think it plays very heavily into the minds of both the Saudis and the Emiratis, who have deep ties into Hadhramaut, and would have designs of their own on how Hadhramaut figures into a future Yemen. LAIPSON: Want to come in on this? FEIERSTEIN: Yeah, just to add to that, I agree with Steve. You know, fundamentally, you’re absolutely right. There is an independence movement in Hadhramaut and the east, Mahra, Socotra, that is quite apart from the old north-south divide. And I think that this is an important reason why the U.S. should maintain its position in support of a unified Yemen, because the concern that I’ve had—and I had even when I was there—was that if Yemen divides, there’s no reason to think it would divide into two pieces. It might even divide into three, four, or more independent countries, all of which, in my view, would be economically unsustainable and available for extremism. So I agree with Steve that the solution, I think, should be, you know, the federalist approach, which was agreed on in the national dialogue conference. And we should continue to press for a continued, unified Yemeni state. LAIPSON: And the next question’s also in the back table. Q: Hi. Sorry. Thank you. Yusruf Asili (ph), DOD. I was wondering, from your perspective, what do you think an ideal outcome looks like from a Saudi perspective and from an American perspective? And where do they overlap and where do they diverge? LAIPSON: And the next question will also be at that table, but—so, Gerry, you want to go first? FEIERSTEIN: Yeah, I would say—I mean, in my own view, I think that the Saudis have three red lines, three issues that they absolutely require. One is a secure Saudi-Yemen border. Secondly, a friendly government in Sana’a, a government that they can deal with. And, third, no Iranian foothold in Yemen that would threaten their security. And I think that, from a U.S. perspective, we should—we should agree with all three of them. I think they are three legitimate objectives. SECHE: I have nothing to add to that. I think that’s right. Q: Peter Baumbusch. I’m a lawyer in Washington. With the leadership of Yemen, the official leadership, living in Saudi Arabia, who’s living in Yemen that’s trying to run things there? FEIERSTEIN: There’s, of course, the Houthis have their own, you know, kind of government in Sana’a, which operates in Sana’a. And then the Hadi government does have a number of ministers who are resident, more or less full time, in Aden and operate there. So you do. And then you have local governments at various places that are looking after local affairs. But by and large, there’s really no operational government. LAIPSON: Now let’s go to this gentleman here. Q: Thank you. My name David Young. I’m with Oxford Analytica. Most of the time I live in Oxford, and looking at America from abroad I just, like, a bigger question in terms of Washington. Between the three of you, looking at your CVs, you represent somewhere over 90 years of experience and intellectual capital in the U.S. government. And you all retired recently. And now you’re on the outside. My question is, retirement reasoning. But more importantly, do you feel confident about the expertise and capacity internally now? And two, how receptive is the inside to you, now that you’re on the outside? Maybe it’s a loaded question, but it is critical as how America is seen from abroad. And, one, I want to encourage you, and I think it’s great that you’re staying on your game, so to speak, from the outside. I think that’s critical. And only in America does this really happen. So I want to encourage you. But I also want to put on the table that we do have a problem inside. LAIPSON: Steve, do you want to go first? FEIERSTEIN: Yeah, I agree with Steve. The other thing that I would—I would say is that as we’ve gotten deeper into this administration, we’re a year in now more or less, I think that some of the—some of the resistance to talking to think tanks, to talking to outside elements has relaxed a little bit. And I think that we have more of an audience today than we had in the spring. LAIPSON: So we’ve all worked at think tanks. They still do. I now have moved to a university. And I think that the flow of ideas, you know, in and out of government continues to be reasonably healthy. But I appreciate the comment that when you have a very confident ideologically driven administration, they pick like-minded people to interact with. The Obama administration, I think, was salutary in how, you know, they created open conversations with people of diverse views and always said, you know, we’re looking for good ideas. Welcome, you know, your ideas. We don’t think we have answers to all the problems out there. So it’s a—it’s a mindset. It’s a cultural phenomenon of when there’s porousness and when there’s a little bit less porousness. I do worry on the intelligence side that there’s a lot of money and resources to be doing the hard stuff, the terrorism and the WMD stuff, but there’s less value given to the softer side of learning cultures, politics, understanding the specificities of crisis zones. And even at the State Department, given the understaffing and security preoccupations, I think our government has probably contracted a bit in the depth of its understanding. When you see, you know, former career ambassadors, you see the capacity to really have a sustained expertise. But I worry that that is harder to do post- Benghazi. And in a terrorism era, and in an era where there’s continued anti-Americanism, that makes it hard. Now, that—we’re talking about the Middle East. In other parts of the world, I think it’s somewhat less of a problem than it is in the Middle East. So why don’t we take this question here. Q: Hello. Richard Sacks, former State Department. What would you say are the minimum Houthi demands to end the war? FEIERSTEIN: The minimum Houthi demands. LAIPSON: Do you want to go first? FEIERSTEIN: You know, the Houthis, again, based on what people tell me who have actually been involved in negotiations with them is that—is that there is no real set of Houthi demands. I mean, they have a maximalist position and they have, thus far, really not fallen off of their maximalist position, which is—I think it’s expanded. You know, I would—I would say that early on their aspiration was really to have a kind of a Hezbollah relationship with the government of Yemen, where they would have more or less a—their own, you know, kind of security zone, their own ability to govern in Sa’dah. And then be able to have a veto over what happened in Sana’a, so that nothing that affected their own interest would happen without their approval. But after the collapse of negotiations later in 2014, and the beginning of the conflict in early 2015, their aspirations expanded to where they really believe, aspired that they could take over the running of the country by themselves. And so far, at least, haven’t seen or heard any evidence that they’ve backed off of that claim. SECHE: I think your question gets to what’s going to be one of the really thorny issues when the peace negotiations get down to issues like power sharing. And you have—you know, in the Houthis, you have a very small percentage of the Yemeni population—what is it 2 percent at most? And yet, they’re going to be asking for influence in a government and authority in a government that’s going to be commensurate with what they’ve earned and gained over the period of this war and before the war. So trying to square that circle is going to be a real issue for the negotiators to figure out, how they can tamp down some of the ambitions of the Houthis to claim that kind of influence and rule when, in fact, they don’t reflect that in a population. But they say, well, we control this much Yemen, so why can we get—how did we get less? FEIERSTEIN: Well, and even beyond that, early on they were able to claim, with some credibility, that they were representing the broader Zaydi community. And of course, the majority of the population of the city of Sana’a is Zaydi. So they did have a base. But over the course of the conflict, I think there’s been increasing disapproval of the Houthis from within the Zaydi community. So, again, a loss of influence and a loss of capacity over these past months. SECHE: And I think just one of the great mysteries of the Houthis, to me, has always been they’ve never issued a manifesto. They’ve never said: This is who we are. This is what we expect to have, and this is our overall, overarching ambitions and goals. And so it’s still very murky territory. And it’s open to redefinition at any moment for them when they decide it’s in their interest to do so. LAIPSON: And I recall that what we understood about Zaydi Islam in general is that it’s actually kind of in a twilight zone between Sunni and Shia doctrine, and so that we should—so it just gives us an opportunity to say: Do you see this as sectarian, as we’ve seen in other parts of the region? Or is there a different kind of texture to this particular conflict? FEIERSTEIN: Zaydis are Fivers. They’re not much different from Alawites in Syria or the Ibadi in Oman. But one of the interesting aspects of this closer coordination between Iran and the Houthis over these past years is that a number of Houthis have gone to Iran for various kinds of training. And a lot of them have been proselytized in Qom. And the number of Houthis who are now Twelvers, who are now following the Iranian line on religion, has increased. And so whereas—and one of the things when Steve and I were there—one of the things that people always talked about was that Shia, Zaydi, and the Sunnis worshiped in the same mosque. And it was very difficult. You really had to watch to see the distinguishing marks between the way that the Zaydis worshiped and the ways the Sunnis worshiped. And that, increasingly, is no longer the case. And we’ve seen the Zaydis establishing their own, or the Houthis establishing their own mosques, very much distinct from the Sunni. SECHE: I certainly think that the entrance of both Saudi Arabia and, to a greater extent, now Iran in the war has sharpened the sectarian edge to the conflict. And I saw an interview the other day with one of the IRGC commanders, who acknowledged that Iran provides assistance missions and spiritual support for the Houthis, so. SECHE: It was not originally that, no. LAIPSON: Chew it. Chewing khat, that’s right, the big lump in the cheek. Has the khat culture survived the war? LAIPSON: Are there any further questions? Please, right here. Q: Jason Ladnier, Department of State. You both mentioned privateering and the war economy as part of your analysis. If we shift into recommendations, what could be done? How do you touch this problem set? What practically can be done to try to address some of the incentives that are there to keep this going?